For the fourth time in a row, the Programme for the Endorsement of Forest Certification (PEFC) has confirmed that the Sustainable Forestry Initiative® (SFI®) forest management standards meet its rigorous third-party international forest certification criteria. The SFI Program (2015-2019) was re-endorsed by PEFC after a 60-day public comment period, a detailed examination and third-party assessment against nearly 200 criteria by a PEFC-approved assessor and a review by a PEFC panel of experts. 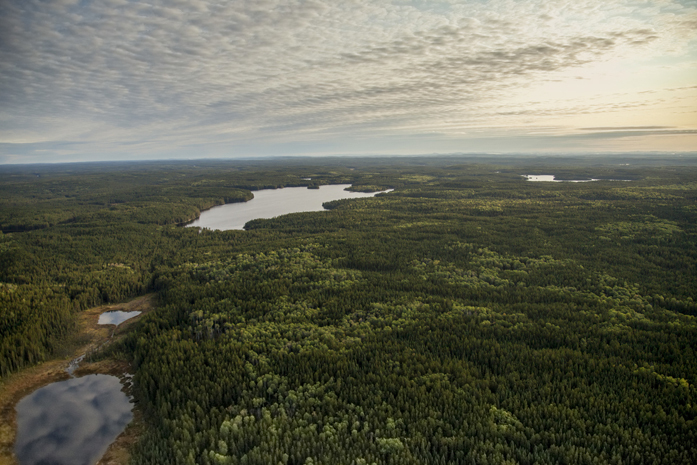 What does PEFC’s endorsement mean to North America’s forestry reputation? First, the PEFC endorsement means fiber from forests certified to SFI will continue to be accepted as certified content for use in both SFI chain-of-custody certification and product labels and PEFC chain-of-custody certification and product labels. Those product label endorsements are vital to increasing SFI’s international recognition, allowing its certified products to be sold in more than 120 countries. SFI wants to advance global forest conservation efforts by leveraging its international partnerships – which now include recognition from the World Business Council for Sustainable Development, The Sustainability Consortium, GreenBlue and the International Union for Conservation of Nature (IUCN). Forests certified to the SFI Forest Management Standard now cover more than 113 million hectares across North America, accounting for 40% of PEFC’s total certified area globally. To learn more about Resolute’s 100% certification to internationally recognized forest management standards, including the SFI, visit our website.